Removing the DPF on the Vauxhall Zafira is a great way to prolong the life of the engine, turbo and other mechanical components – even if it hasn’t already blocked up! 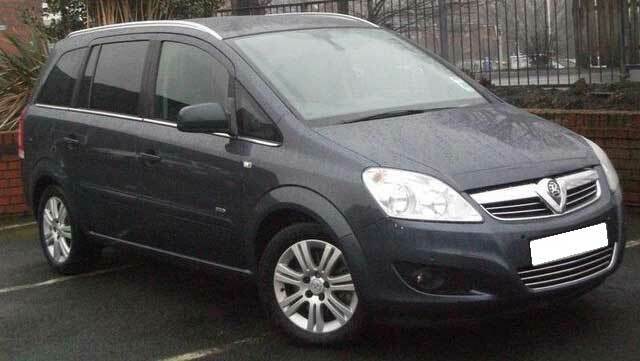 When the Diesel Particulate Filter (DPF) does eventually block up on the Vauxhall Zafira, it can become so severe that the vehicle will lose all throttle response and cut the engine out. This will be because the engine cannot breath with the DPF being completely blocked. The excess back pressure will build up and you will get what’s known as “Carbon Backup” in the turbo & engine which can go right the way back to the EGR, Injectors and Air Mass / Throttle Body. This is a serious problem which is overlooked by many companies. If the problem isn’t corrected promptly, you could face a very expensive repair bill, we’ve seen in some extreme cases complete loss of engine & turbocharger along with injectors. What Is The Solution To A Blocked DPF? The best solution is quite simply to remove the DPF system from the Vauxhall Zafira, we don’t just remove the mechanical filter element from the exhaust system, we also carry out the full programming service to disable to DPF functions and a smoke-correction service to guarantee the vehicle will continue to pass the annual MOT standards. For more information, check out our article on Diesel Particulate Filters (DPF) Problems & Solutions. How Will A DPF Removal Affect My Car? Removing the DPF from your Vauxhall Zafira will add great benefits. To start with, you will notice an immediate increase in power and performance right through the rev range and in most cases a significant gain in fuel economy as well. Most importantly, you will increase the life expectancy of the turbocharger, engine and other mechanical components once the DPF is removed because the engine will be able to breath better with the exhaust gasses flowing more freely. How Do You Reprogram My Car To Disable The DPF? We start by downloading the current data files from your vehicles Engine ECU, this way you won’t lose any updates you may have had to the ECU in the past from dealerships. We manually scan through the 1000’s of data strings to locate all the DPF file structures and make a note of all the interlinked data strings where the DPF system is interlinking with other sensors such as the Lambda, AirMass, Temperature and Exhaust Gas Pressure Sensors. We then go ahead and delete all stand-alone DPF file structures but we don’t stop there, we manually re-code all the interlinked data strings to ensure the DPF files are completely removed but the other sensors will continue to work optimally as they should even though the DPF is no longer existing. How Is This Different To Other DPF Removal Offers? A lot of people are using Automated Softwares to carry out the DPF removal on these vehicles, the software will find any DPF related files it can and simply delete them (even if it means deleting interlinked files with other sensors).. this can cause serious damage which isn’t always initially noticeable, some people won’t even experience a single problem until months later – it all depends how much you drive the vehicle. Other automated softwares don’t even remove the DPF file structures, they simply mask the error codes so that no warnings appear on the dash after the DPF is removed – this means the vehicle will continue to “regenerate” even after you have removed the DPF from the exhaust – Eventually, this will kill the injectors and sensors in the exhaust, not to mention the negative effects on fuel economy. See our article on mickey-mouse companies using Automated Softwares for more information on this topic. Will My Vauxhall Zafira Still Pass Its Annual MOT After Removing The DPF? There is a lot of talk about this and the simple answer is Yes, if you have had the DPF correctly removed and a smoke-correction carried out then it will continue to pass it’s MOT. DPF Removal is not illegal providing that by doing so, you do not negatively effect the emissions/smoke soot levels coming out from the exhaust – of course, this is inevitable which is why we offer a FREE smoke-correction service with EVERY DPF removal service we carry out to guarantee your vehicle will continue to pass it’s annual MOT. There is currently, no other company to our knowledge who can offer this service and level of guarantee! After having the DPF removed from your Vauxhall Zafira, it will not bring up any error messages and the car will not go into LIMP mode. Also, you will never experience any Regeneration messages where the ECU normally attempts to clean the DPF – this is because the DPF is no longer existing. 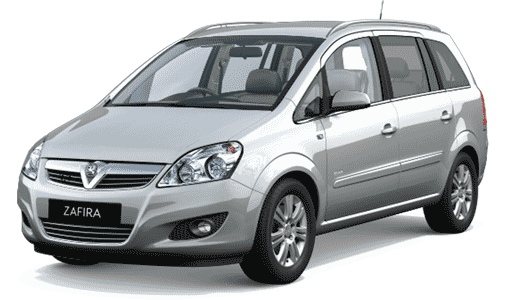 Tags : Fault Code P1901 DPF Problems On Vauxhall Zafira, Fault Code P1901 Particulate Filter Differential Pressure Signal not Plausible with Mass Air Flow C-030, Fault Code P1901 Particulate Filter Pressure Sensor High Differential Pressure B-056, Fault Code P1901 Particulate Filter Pressure Sensor High Voltage C-030, Fault Code P1901 Particulate Filter Pressure Sensor Hose Line Malfunction C-030, Fault Code P1901 Particulate Filter Pressure Sensor Low Differential Pressure C-030, Fault Code P1901 Particulate Filter Pressure Sensor Low Voltage C-030, Fault Code P1901 Particulate Filter Pressure Sensor Range/Performance B-056, Fault Code: P1901 DPF Problems On Vauxhall Zafira 1.9L CDTi - Our Permanent Solution!, How To Remove Vauxhall Zafira DPF, Opel Zafira 1.9CDTi DPF Removal Service, Vauxhall Zafira 1.9CDTi DPF Removal Service, Vauxhall Zafira DPF Blocked, Vauxhall Zafira DPF Problems - Our Solution!, Vauxhall Zafira DPF Removal, Vauxhall Zafira DPF Removal Service - Call Today 0871 2887 666, Vauxhall Zafira DPF Removal Services Nationwide, Vauxhall Zafira P1901 DPF Fault Code, Vauxhall Zafira P1901 Exhaust Gas Pressure Sensor... - Our Solution. We have sent you an email with full information and pricing for our DPF removal services in Walsall WS8.